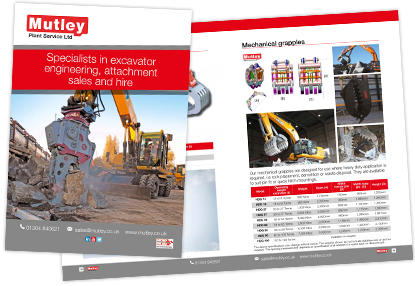 Mutley Plant Service are celebrating 25 years of providing engineering design, build and supply of bespoke excavator projects, as well as being an Industry Service Provider for the NFDC! We are proud to be a main distributor of Kinshofer and Demarec , Epiroc and Verachtert and Caterpillar excavator attachments. We are now dealers for OilQuick couplers and also have the new Kinshofer NOX Tiltrotators available to suit excavators from 3 to 25 tonnes! We can supply you with Dynaset HMAG magnets and Promove breakers & multi-processors plus more. If you cannot find what you are looking for below, please contact us to discuss your requirements.